What you want in an outdoor barstool is a combination of great looks, superior construction, comfort, and budget-friendly pricing. 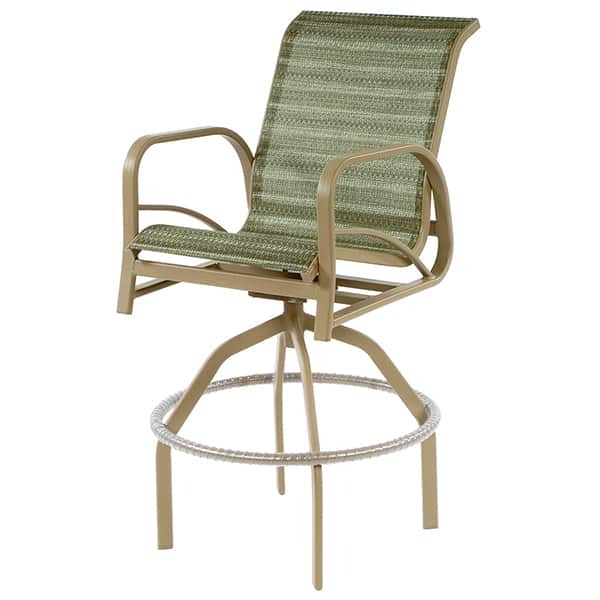 The Island Bay Swivel Bar Chair by Windward Design Group gives you just that; a sleek design constructed of weather-proof aluminum with an easy sling seat; all this at a great value. The Island Bay Sling Swivel Bar Chair has a powder-coat finish and a smooth swivel mechanism; the sling seat is double-stitched for added durability. Choose from Windward’s frame finishes and sling fabric options; the Island Bay Sling Swivel Bar Chair is made-to-order in the USA.